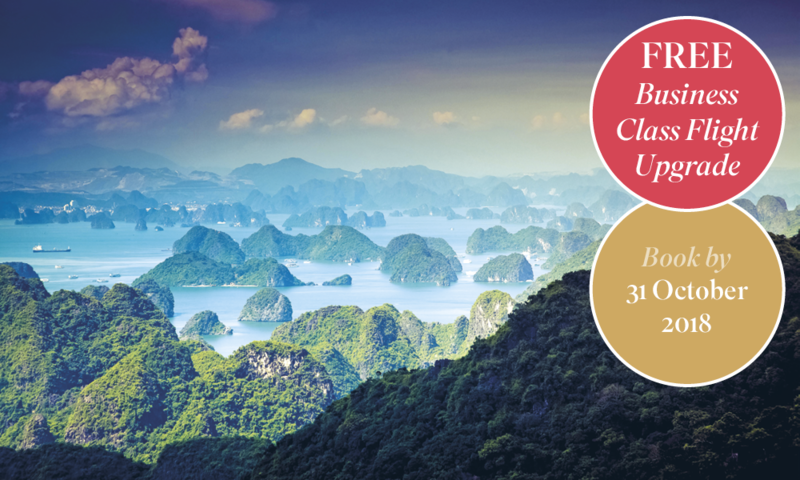 Travel with Scenic and enjoy extraordinary levels of luxury on board our 5-Star ships specially-commissioned to sail the Mekong and Irrawaddy rivers. There is simply no better choice for a luxury inclusive experience. 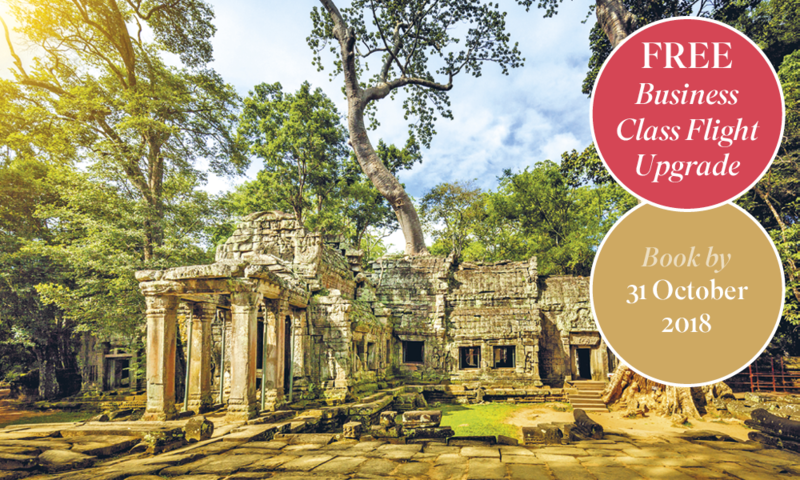 Discover our 5-star Southeast Asia itineraries and enjoy a Free Business Class Flight Upgrade across all our 2019/2020 collection when you book by 31 October 2018. Safety is at the forefront of our minds when building our bespoke ships, and both Scenic Spirit and Scenic Aura proudly meet European safety standards. This investment in design shows our steadfast commitment to providing the best river cruising experience of any currently available. Both of our small boutique vessels are the only all-balcony suite ships in Southeast Asia, complete with Scenic Sun Lounge and our renowned Scenic Slumber Beds. Scenic Spirit is the only ship on the Mekong to provide an elevator, an essential element to aid your mobility and comfort if you require assistance around the ship. We are the only river cruise line to provide a guest laundry facility and separate dry-cleaning service on both our ships. And, you can be assured that our staff, who are trained in-house to meet Scenic standards, will be at your service for any questions, queries or problems you may have. Contemporary Asian-inspired décor adorns the public areas, where we have collected the works of established Vietnamese and Burmese artists. These rich bursts of colour, culture and tradition can even be viewed as part of a guided tour, where you’ll have the opportunity to learn all about the artists and their inspiration. We believe this is what really sets us apart from the rest. This level of luxury, combined with our quality of inclusions and dedication to a high standard of safety, continues to elevate our ships in Southeast Asia, so that every minute you spend on the river is one that exceeds your expectations. The most spacious on the Mekong and Irrawaddy rivers, every suite on our 5-star ships offers a private balcony, separate living room and walk-in wardrobe. Unwind in your opulent surroundings as your attentive butler ensures you have everything you need. It’s this level of service that makes us stand out from the crowd. With suites ranging from 32-80m² on Scenic Spirit and 28-70m² on Scenic Aura, every one of our spectacular suites on board our Asian ships features a balcony with Scenic Sun Lounge, our innovative all-weather conservatory-style space activated at the touch of a button. Every bedroom comes complete with Scenic Slumber Bed, Egyptian cotton sheets and an extensive pillow menu, encouraging a restful sleep in preparation for another exciting day. While your sensational bathroom, with stand-in shower and plush robes, ensures settling into your boutique home-away-from-home is a sheer joy. Representing a stylish connection between tradition and innovation, we’ve kept regional authenticity at the forefront of our mind with every fitting, finish and decorative choice. Dark woods, indigenous plants and truly outstanding pieces of Asian art adorn the walls, combined with state-of-the-art amenities for an ambience you would expect from a world-class luxury hotel. Watch a film on your HDTV, read a book on your balcony with a little aperitif from your complimentary mini-bar or request a bottle of something special to be brought to your room as you prepare for dinner. Enjoy breakfast in your suite using our early-risers’ card. Perfect for those days when you wish to relax in private, simply pre-order your food, select a preferred time for its arrival and your butler will bring it to your door. If you’re residing in the Royal Panorama Suite, you can even request for a bath in your suite or your hot tub on the terrace to be drawn for you on your return from a day of exploring. We believe it's these hand-finished elements that make all the difference. Prepare for a quality of dining unlike any other on the rivers of Asia, as regionally inspired flavours and locally sourced ingredients combine to create fresh and traditional dishes, sure to awaken your senses and delight your taste buds. Home to the most state-of-the-art kitchens on any Asian river ships, we provide the most extensive menus, served in a variety of venues. Savour wonderful à la carte fare in our chic Crystal or Bamar Dining restaurants, where we offer a range of dishes, from Vietnam-style pork to fresh lobster and Fish Amok. The River Café opens for early breakfast, casual Asian-inspired snacks and healthy options to graze on throughout the day and the Captain’s Table, on board Scenic Spirit, is available to Diamond Deck guests for a special evening of degustation dining. On board Scenic Aura, the exciting teppanyaki bar invites an intimate six guests a night to watch our expert chefs prepare your meal in front of you. A wonderful piece of culinary theatre, witnessing such demonstration of skill is sure to delight before you’ve even tasted it. Great food and unforgettable moments should only ever be accompanied by the perfect complimentary beverage and, when we say complimentary we mean it. 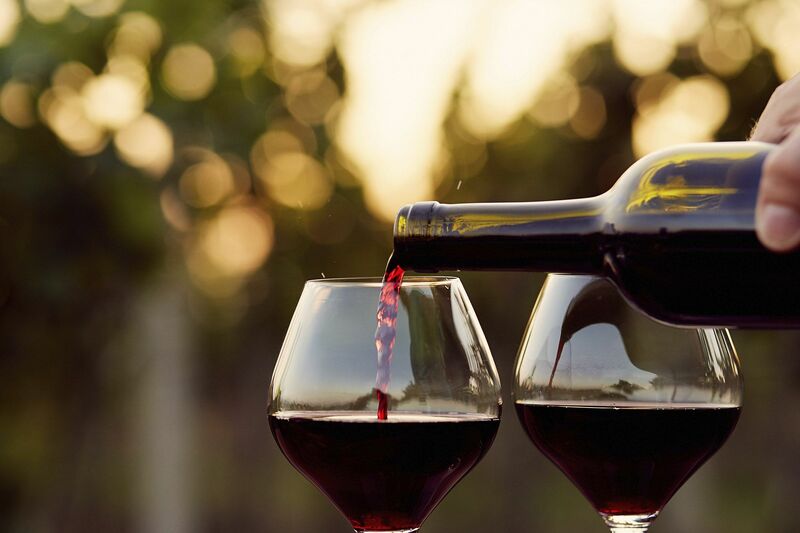 Unlike many cruise operators in the region, we welcome you to enjoy a variety of regional and world-renowned wines as well as a selection of premium branded beers, spirits, cocktails and delicious mocktails, at no extra cost. Our staff are trained to advise you on the right pairing to suit your meal and will always be there to share their favourite concoctions with you. You'll even be offered a range of wellness shots at breakfast, packed with nutritious blends of regional herbs like turmeric, rose water, chia seeds, galangal and acai berries, to give you a natural health kick. Our signature Scenic Enrich program takes you behind-the-scenes to experience moments inaccessible to the ordinary traveller. Step into a truly memorable experience, from great seats of learning to traditional country life. Experts in the destinations we visit, our Journey Designers hand-pick the most compelling experiences to introduce the very best of the region. Not only will you visit some of Southeast Asia’s most spectacular temples, in both Bagan and Siem Reap you’ll dine exclusively within their candlelit ruins accompanied by traditional performances. And, not only will you have the opportunity to see Cambodia’s famous circus, Phare, you’ll have the best seats in the house. Created to truly immerse you in culture, you’ll learn how to pray from a Buddhist monk and travel in style by Tuk Tuk to Phnom Penh's historically celebrated Raffles, Hotel Le Royal for high tea. In Hanoi, venture backstage of the famous water puppet show to discover the tricks behind the illusions and, in Hoi An, visit Duc Son Pagoda to meet the resident nuns for lunch and to donate to the orphanage. Observe daily life in Myanmar as you navigate the truly remarkable Inle Lake and a local Intha family welcome you into their home for a traditional lunch. Place gold leaf on one of the country’s most famous Buddha statues and attend morning alms for the monks in Bagan, before a traditional Mohinga on board. Witness the sunrise as it casts a spectacular silhouette over Angkor Wat, before an exclusive champagne breakfast provided by a local charity, and marvel at the silhouette of the U-Bein Bridge from private bar boats below, complete with drinks and snacks, as part of an exclusive Scenic Sundowners event. Wherever and at whatever time of day, there's something remarkable about this majestic region, brought to life every day of your adventure. All these unique experiences come as standard with Scenic and are all included in the price you pay - that's the Scenic difference. We’re conscious of the responsibilities we owe to the environments we travel to, that’s why we are focussing on transforming the way we use materials on board and onshore. We’re very proud of our ships, that’s why we've copyrighted their design. Built by our own engineers, we’ve gone above-and-beyond to exceed the regulatory requirements of the region, ensuring both Scenic Spirit and Scenic Aura boast a range of unique features that not only consider your well-being, but the environment we’re sailing through too. From the pre-treated fresh air being pumped throughout the vessel, to the double bottom hull which provides extra protection from underwater damage and the fitted bow thrusters, providing extra assistance to the captain while docking. Three fire zones with automatic fire-fighting sprinkler systems have been installed in the event of a fire, while marine panelling throughout the ship provide excellent protection as well as acting as an effective sound-proofing method. As eight of the top ten rivers contributing to ocean plastics are based in Asia, we feel the need to ensure our journeys do not add to an already enormous problem. With that in mind, we no longer use plastic water bottles and have replaced our plastic straws with paper ones. You will be provided with a Scenic refillable water bottle, which can be refilled at special filtered water stations, therefore eliminating any need for left-over plastic. The water is UV treated, reverse osmosis treated and carbon filtered to meet international standards and you can even opt to have it infused with a flavour. In an effort to reduce our waste, we partner with and fund local programs who collect and recycle leftover plastic. Since it began, we have funded the cost of two projects in Southeast Asia, the provision of clean running water to the Chiro Community in Kampong Cham in Cambodia; and the construction of new sanitation blocks in Yandabo Village in Myanmar. The people who reside along the banks of the Mekong River have learnt to coexist with this mighty waterway. All around are reminders of how nature and humanity can adapt and thrive, living in harmony with one another. After discovering the many riches of Ho Chi Minh City, a thriving metropolis filled with stories and adventures, you will spend the first night on board Scenic Spirit settling into the luxurious surrounds that will become like home. From the ancient hilltop pagoda of Wat Hanchey, where resplendent water views await, to the famous Silver Pagoda in Phnom Penh, Scenic will unveil a multitude of experiences to allow you to appreciate the beguiling nature of this landscape, letting you become one with this magnificent waterway. Sail deep into Ha Long Bay on a two night cruise and sample Hanoi’s hidden food haunts after dark on the back of a vintage Vespa, while in Siem Reap, uncover the secrets and allure of the World Heritage-listed Angkor temples through exclusive Scenic Enrich events. Enjoy the thrilling wonders of Ha Long Bay, before you travel to Cambodia to explore the heaven on earth that is Angkor Wat and embark on your Mekong river cruise. Journey from quaint upriver stilt houses to the allure of Phnom Penh, before cruising back into Vietnam.